XT2 PR95 The Cub Cadet XT2 PR95 is a versatile and extremely agile rear collection lawn tractor with the tightest turning circle on the market. 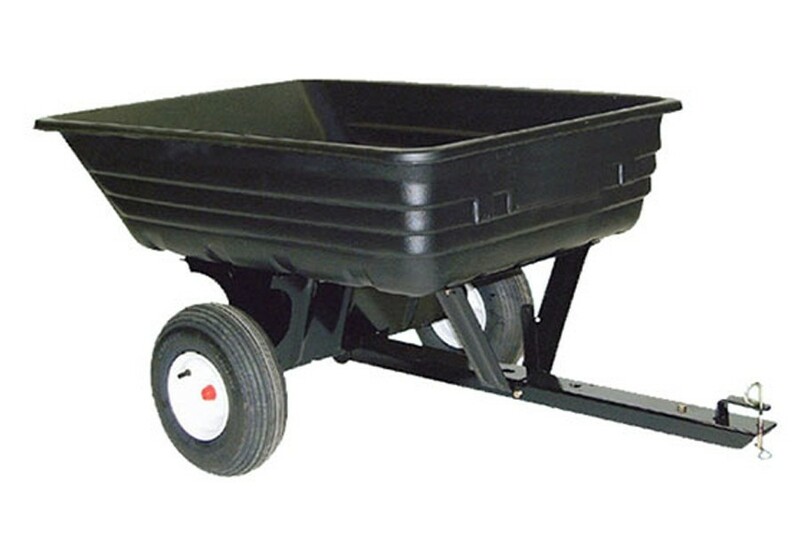 We are giving away a free trailer with this model. 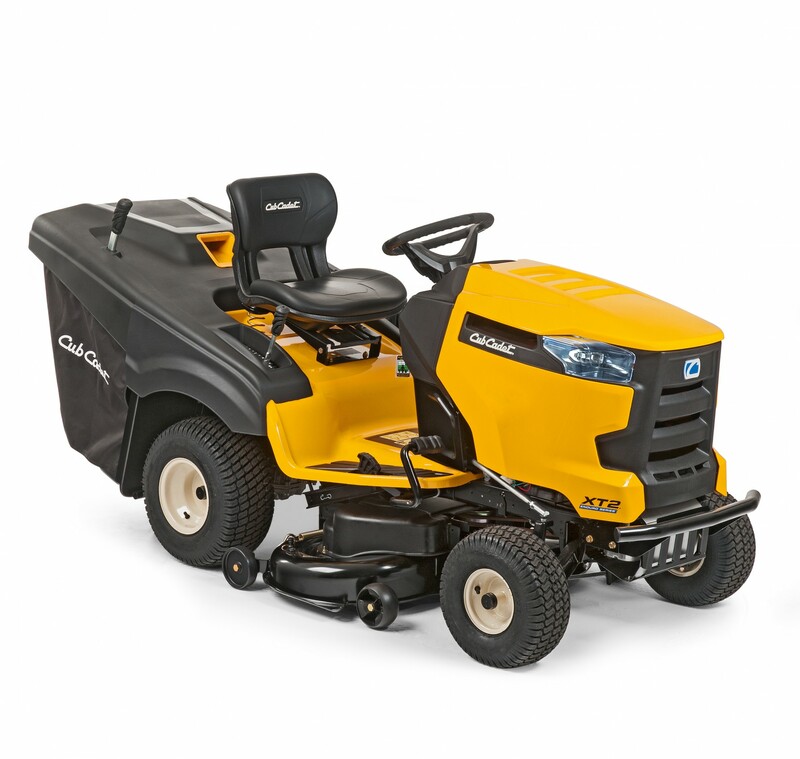 The Cub Cadet lawn tractors with Tight Turn xTreme have a turning radius of just 17cm, delivering unsurpassed maneuverability and capability in tight places. A robotically-welded steel frame with e-coating corrosion defence system ensures longevity and with a heavy-duty cast-iron front axle, the XT2 PR95 is built to last. The powerful and reliable V-Twin Kawasaki engine features a push button start and the hydrostatic drive system operated by foot pedal control provides a smooth and comfortable ride. The 95cm / 38” cutting deck width enables up to 8,500 m2 to be cut per hour and grass clippings can be emptied easily from the operator seat using the telescopic handle on the large 320 Litre grass bag. These machines have over the last 18 months proven to be an excellent machine, with the tight turn they are very nimble and the grass collection is great even if the grass is a bit longer or slightly damp. The new range of machines works well and has proven to be be very reliable. These tractor mowers are well priced and in our opinion offer good value for money. Take a look at the specs below. 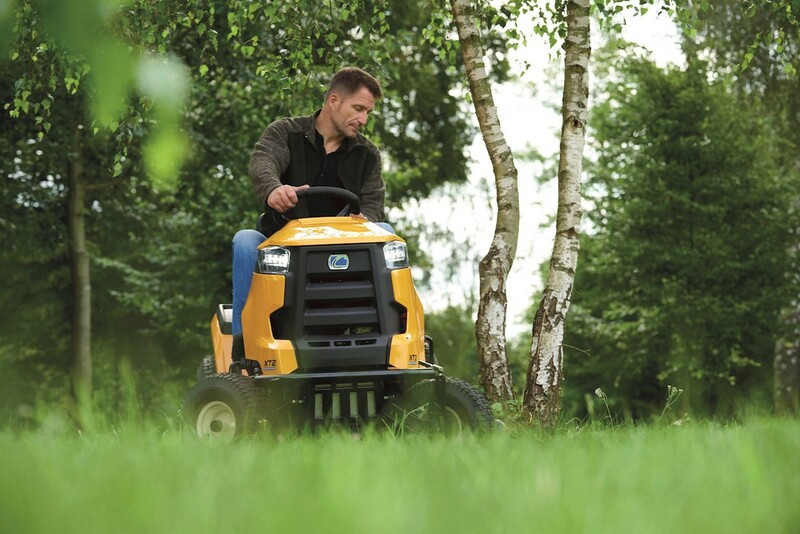 P P Estates offers full after sales support for this machine and most other makes of ride on mower, offering collection and delivery, sales, servicing and spare parts.